Adorn your bar with an original "MARTINI ON SILVER TRAY"
the things that bring us pleasure and happiness! 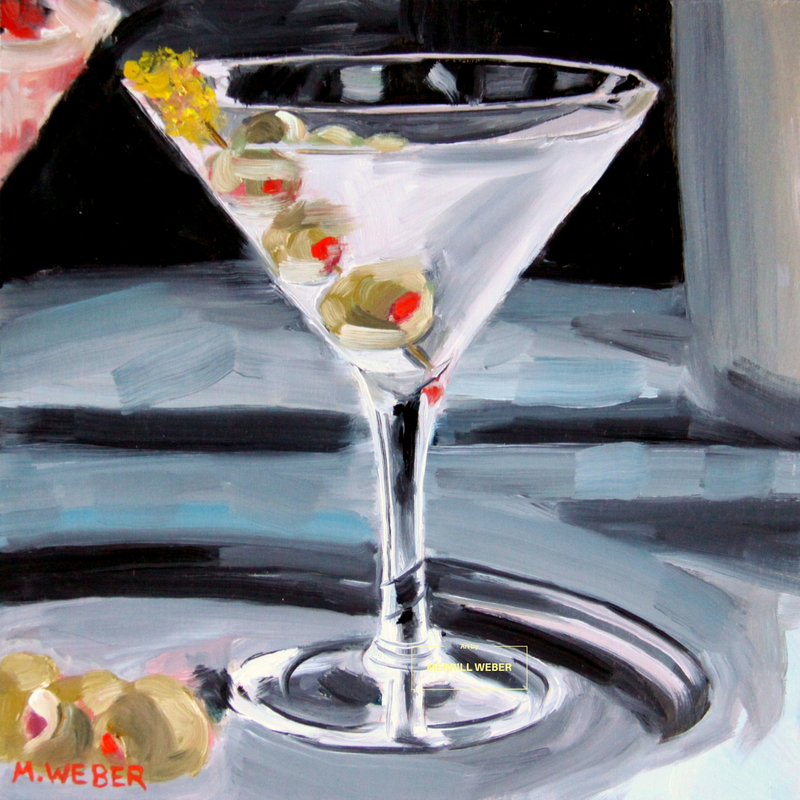 And, the painting lasts long after the cocktail has been enjoyed. 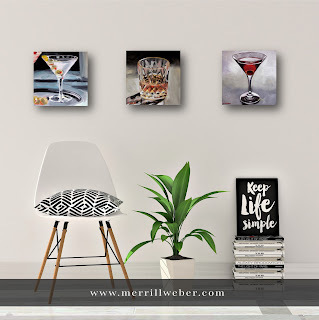 View the LIFE'S SMALL PLEASURES series HERE. 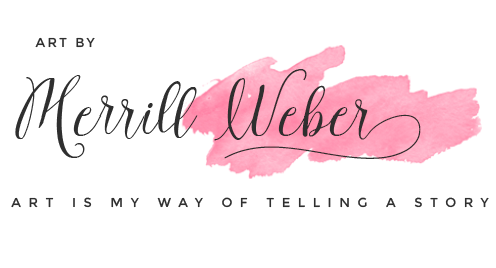 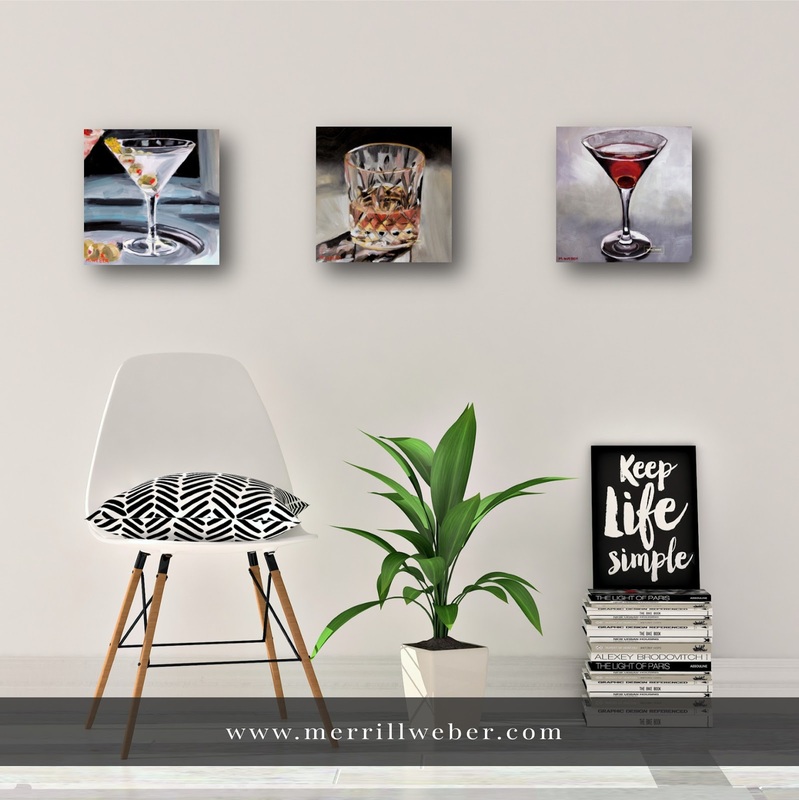 Read about artist Merrill Weber HERE.